Trees , deciduous, to 20(-30) m. Bark light gray, scaly. Twigs yellowish or grayish, (2-)3-5 mm diam., densely stellate-pubescent. Buds reddish brown, ovoid, to 4 mm, apex obtuse or acute, sparsely pubescent. Leaves: petiole 3-15(-30) mm. Leaf blade obovate to narrowly obovate, elliptic or obtriangular, 40-150(-200) × 20-100(-120) mm, rather stiff and hard, base rounded-attenuate to cordate, sometimes cuneate, margins shallowly to deeply lobed, lobes rounded or spatulate, usually distal 2 lobes divergent at right angles to midrib in cruciform pattern, secondary veins 3-5 on each side, apex broadly rounded; surfaces abaxially yellowish green, with crowded yellowish glandular hairs and scattered minute, 6-8-rayed, appressed or semi-appressed stellate hairs, not velvety to touch, adaxially dark or yellowish green, dull or glossy, sparsely stellate, often somewhat sandpapery with harsh hairs. Acorns 1-3, subsessile or on peduncle to 6(-40) mm; cup deeply saucer-shaped, proximally rounded or constricted, 7-12(-18) mm deep × (7-)10-15(-25) mm wide, enclosing 1/4-2/3 nut, scales tightly appressed, finely grayish pubescent; nut light brown, ovoid or globose, 10-20 × 8-12(-20) mm, glabrous or finely puberulent. Cotyledons distinct. Flowering spring. Usually on xeric sites, dry gravelly and sandy ridges and uplands, dry clays, prairies and limestone hills, woodlands and deciduous forests; 0-750 m; Ala., Ark., Conn., Del., Fla., Ga., Ill., Ind., Iowa, Kans., Ky., La., Md., Mass., Miss., Mo., N.J., N.Y., N.C., Ohio, Okla., Pa., R.I., S.C., Tenn., Tex., Va., W.Va. Quercus stellata is often identified by its commonly cross-shaped leaf form, particularly in the eastern part of its range. All individuals and populations do not express this characteristic, however. Moreover, Q . stellata has broad overlap with Q . margaretta and even with some forms of the blackjack oak, Q . marilandica , one of its most common associates. The thick yellowish twigs with indument of stellate hairs and the dense harsh stellate hairs on the abaxial leaf surface are better diagnostic characteristics when variation includes leaf forms that are not obviously cruciform. Native Americans used Quercus stellata medicinally for indigestion, chronic dysentery, mouth sores, chapped skin, hoarseness, and milky urine, as an antiseptic, and as a wash for fever and chills (D. E. Moerman 1986). Putative hybrids are known with Quercus marilandica , Q . alba , and various other white oaks. Quercus stellata is also one of the few oaks that appears to produce hybrids with species in the live oak group, although obvious intermediates are rarely encountered. Nothospecies names based on putative hybrids involving Q . stellata include: Q . × stelloides E. J. Palmer (= Q . prinoides × Q . stellata ), Q . × mahloni E. J. Palmer (as Q . sinuata var. breviloba × Q . stellata ), Q . × pseudomargaretta Trelease (= Q . margaretta × Q . stellata ), Q . × sterretti Trelease (= Q . lyrata × Q . stellata ), Q . 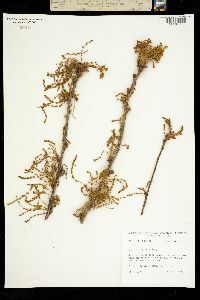 × macnabiana Sudworth (= Q . sinuata × Q . stellata ), Q . × guadalupensis Sargent (= Q . sinuata × Q . stellata ), Q . × fernowi Trelease (= Q . alba × Q . stellata ), and Q . × bernardensis W. Wolf (= Q . montana × Q . stellata ). This species is, for the most part, restricted to the southwestern part of the state. In the unglaciated area it is found mostly on the crests of ridges with black oak. West of this area it is found in bottom land along the Little Pigeon Creek and in the southwestern part of Posey County on the higher bottoms. It is generally associated with white and black oak, winged elm, and mockernut hickory. In this area, it is also found sparingly on some sandy ridges. In 1932, I found a single tree about 9 inches in diameter on the slope of the high, gravelly bank of Big Wea Creek about 4 miles southwest of Lafayette. It has been reported from Lake and Porter Counties but Buhl (Bull. Chicago Acad. Sci. 5: 10. 1934), in his Supplement to Pepoon, Flora of the Chicago Region, deletes these reports. Small or large tree with thick, rough, deeply furrowed bark; lvs 9-15 נ5-10 cm, obovate or often cruciform, thick, variable, usually with a few large, rounded lobes, the main pair of lateral lobes usually constricted at base and with truncate to retuse tip, pubescent on both sides with erect, few-branched hairs, those of the upper surface often deciduous just above the base; petioles and twigs persistently pubescent; acorns sessile or nearly so, the cup hemispheric or pyriform, covering half the nut, its scales flat or nearly so; nut ovoid, 1-1.5 cm. Dry upland woods and barrens; se. Mass. and s. N.Y. to O., Ind., and s. Io., s. to Fla. and Tex., common along our s. border.